The first highlight of the beer year for me comes in the last week of January. The annual Bent ‘n’ Bongs Beer Bash is organized by Atherton and Tyldesley (Bent and Bongs in the local dialect) Round Table. It’s a charity do, a new charity being selected each year. This year the charity was the Marfan Association. Marfan is a little known syndrome which is not particularly rare, but can be fatal. More information about Marfan and the Marfan Association can be found here. 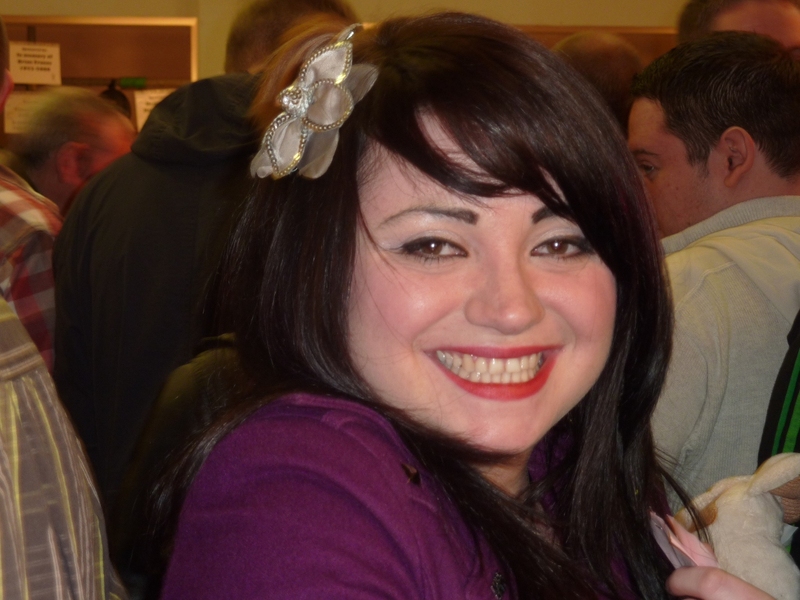 This charity was selected because of the death of Simon Taylor, a regular volunteer at Bent ‘n’ Bongs, who died suddenly from Marfan’s Syndrome in December 2010. He didn’t know that he had it, and neither did anyone else. There are three sessions at the Bash, Thursday, Friday and Saturday evening and Saturday afternoon. I volunteer for the three evening sessions. I work at the lager and fruit beer bar, which surprises people when I tell them, because I don’t like lager and fruit beers. The answer is obvious, really – I’m not tempted to drink the product. We get enough breaks for me to grab plenty of fine real ales for myself. 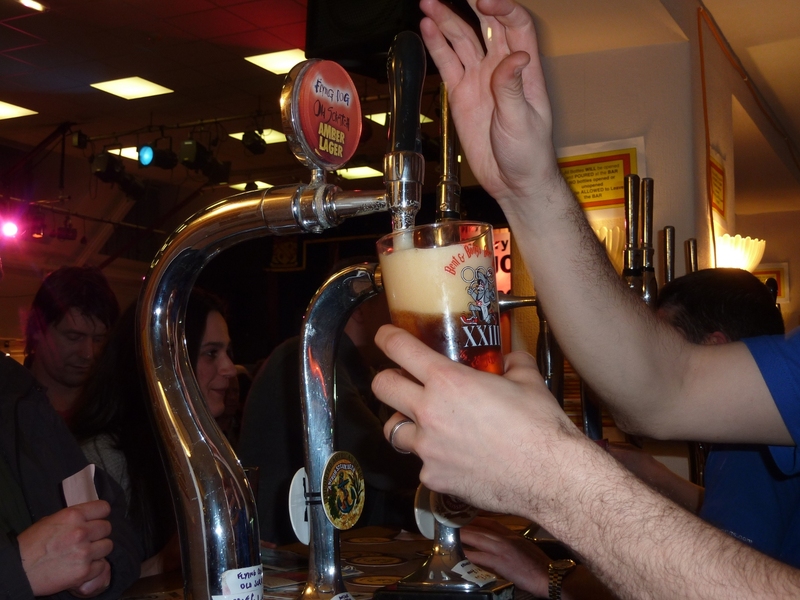 Also, the lager bar is the busiest bar at the festival, and the time just flies. It’s a great festival, one of the busiest I regularly attend. 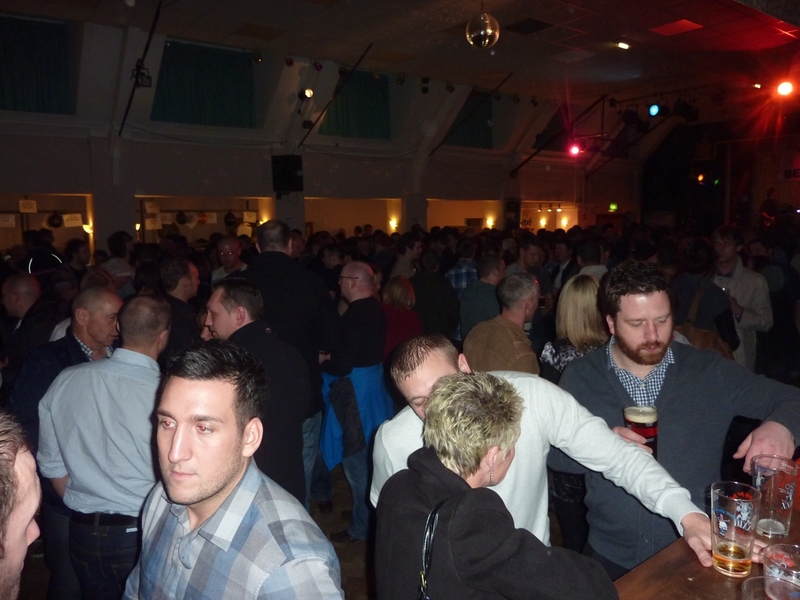 The venue is Formby Hall in Atherton, about ten miles WNW of Manchester. Not a huge place, but just about right. There are actually two halls, side by side. 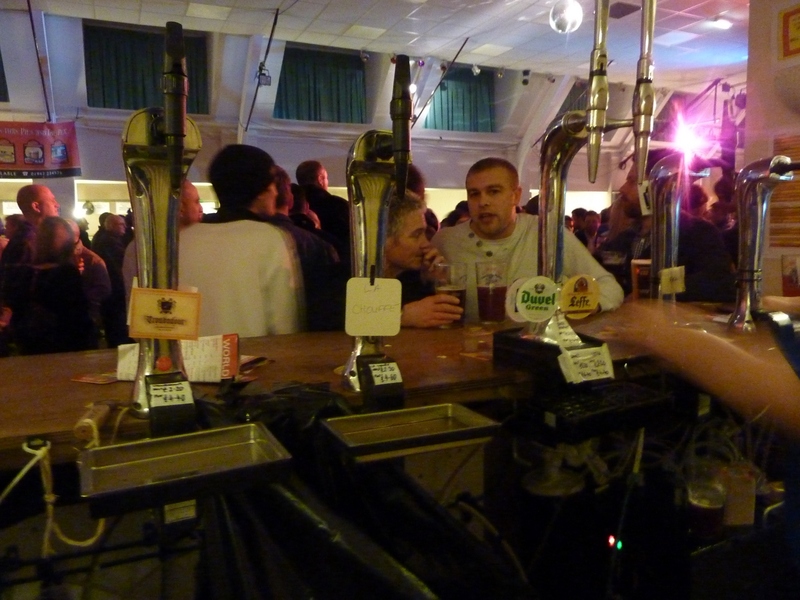 The large hall houses the lager and foreign beers bar, a real ale bar and the food, whilst the small hall has a second real ale bar and the cider bar. This year there were 85 real ales, 12 ciders, 5 perries, 19 foreign draught beers, 12 bottled beers and 10 bottled fruit beers. Full list here. Plenty for every taste. Over the past few years, we have found that the most popular beer on our bar is Van Diest Früli, a strawberry flavoured lager. It is in huge demand and we get through many barrels in the three days. Personally, I find it thick and cloyingly sweet, and a little piece of my heart dies every time somebody asks for it, turning their backs on the fantastic porters, stouts, goldens, pales and bitters behind them. Hey ho, each to his or her own. Each session has entertainment. Now I have to ‘fess up right away that I’m not a great fan of live music at beer festivals. I’ll go into this in more detail on another occasion, but basically, the problem is decibels. There are just too many of them. 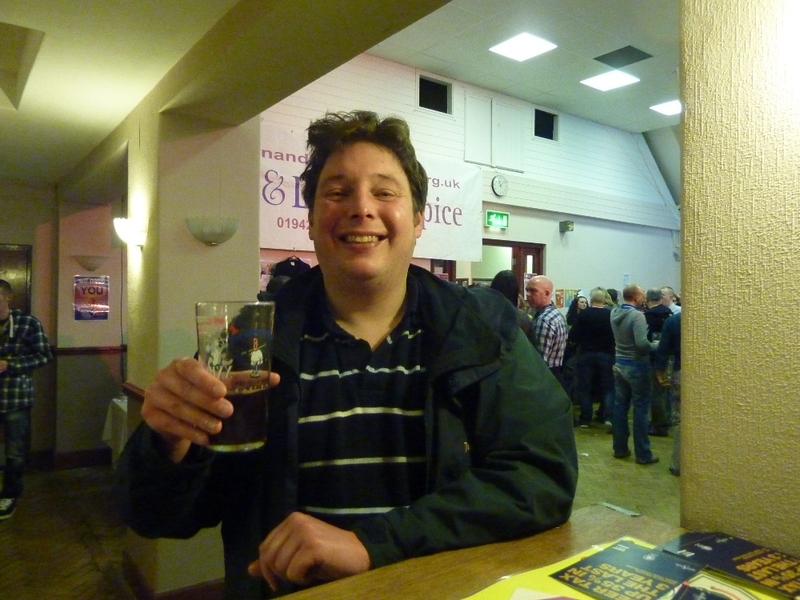 It all makes for quite an exhausting three days, but it’s fabulous fun, and as I’ve noted before about beer festivals in general, it is all very good-natured. We have bouncers on the door, but there is no trouble. The fast, furious, noisy sessions when the doors are open are one thing, but then there are the quiet moments. As a confirmed ticker, I spend an hour or so before the doors open on the Saturday evening just walking slowly on my own along the two real ale bars, pouring myself a taster of each beer that I’ve never had before. This year I got 27 new ticks. Dancing Duck Dark Drake, a 4.5% stout from Derby. Very smooth and creamy, sweet and treacly with highlights of chocolate, liquorice and toffee. 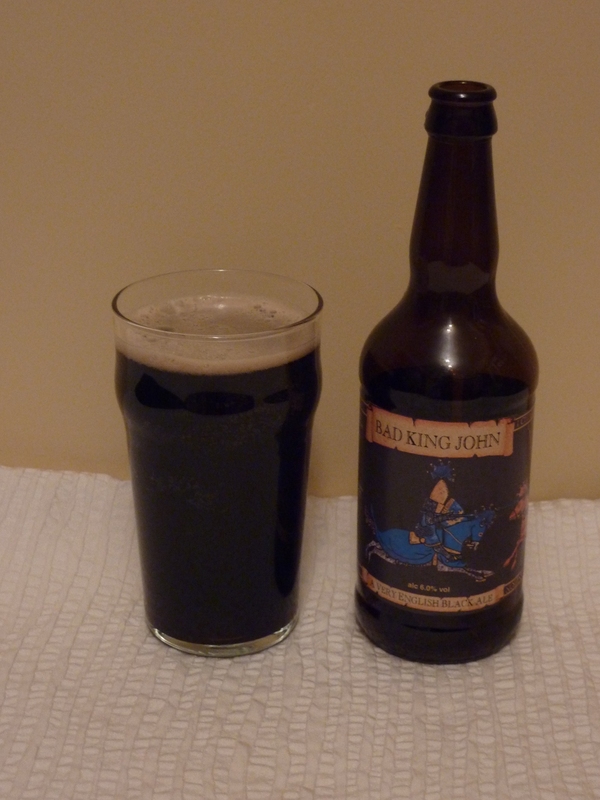 Geeves Smokey Joe, 5.0% stout from Barnsley. It certainly lives up to its name, smoke is the predominant flavour – dark and malty with a pleasing dryish finish. 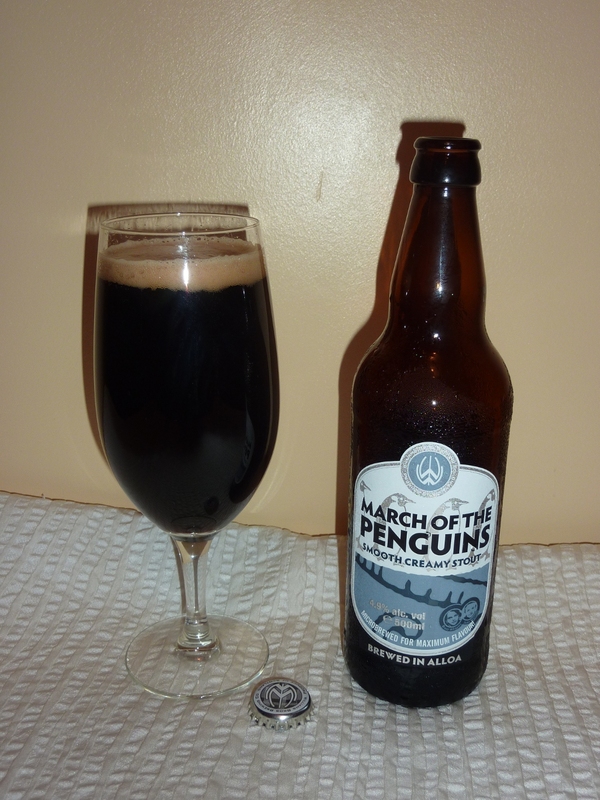 Phoenix Porter, 5.0% porter from Heywood near Manchester. Very smooth with obvious notes of coffee and treacle and a hint of chocolate. Sweet but with an interesting undertaste of bitter hops. Redwillow Heartless, a 4.9% chocolate stout from Macclesfield. 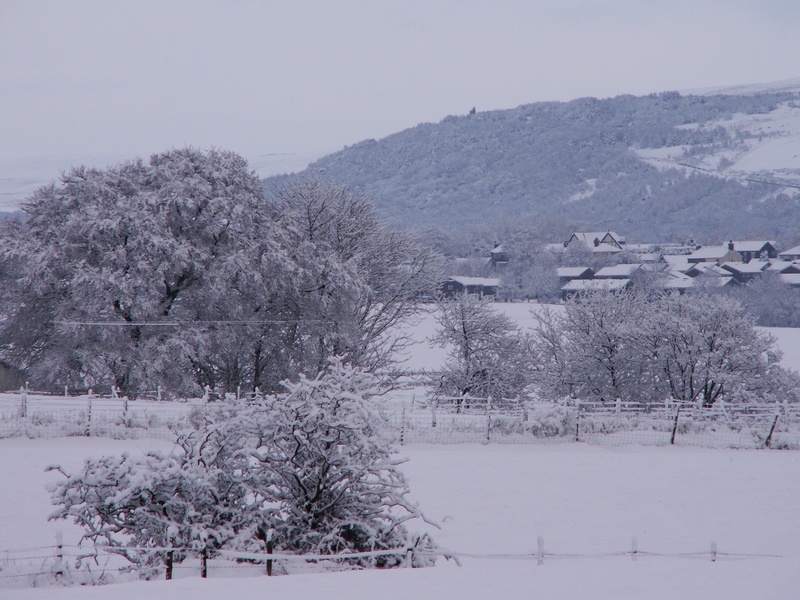 Here’s Redwillow again. Previously mentioned in these blogs, they’ve come up with another winner. 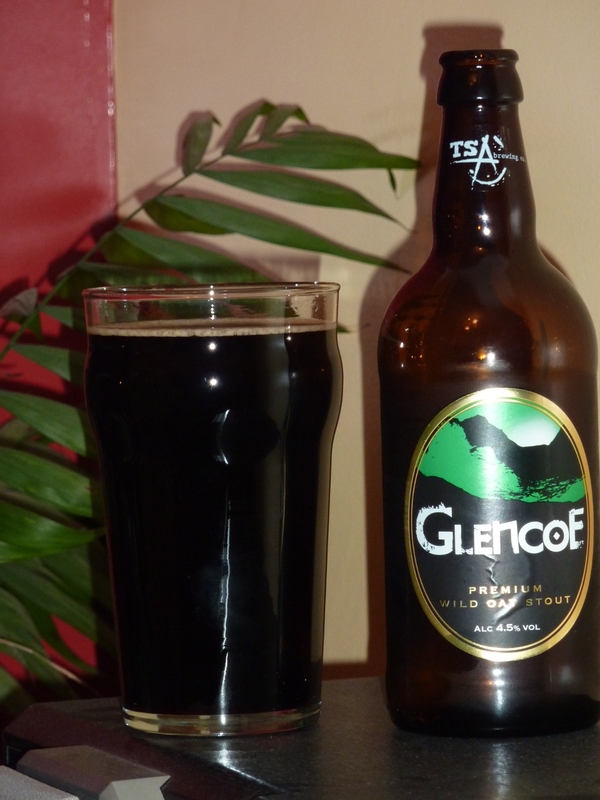 This beer is rich and malty with treacle and chocolate flavours with a slight underlying hint of smokiness. Beautiful. It seems that as soon as its started, its finished. Time to hang up my beer festival socks until the next time. Can’t wait.